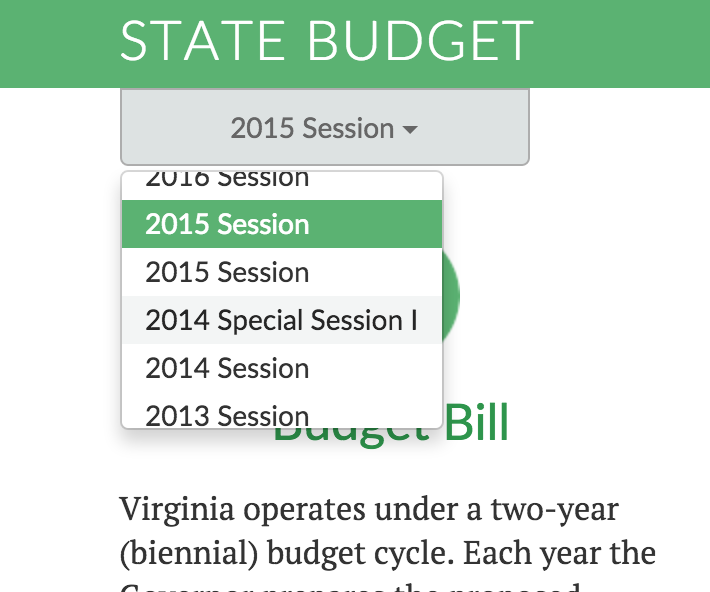 The Virginia State Budget Portal is a public website, designed for desktop and mobile devices, that makes Virginia’s budget information easier to search, navigate, and find. 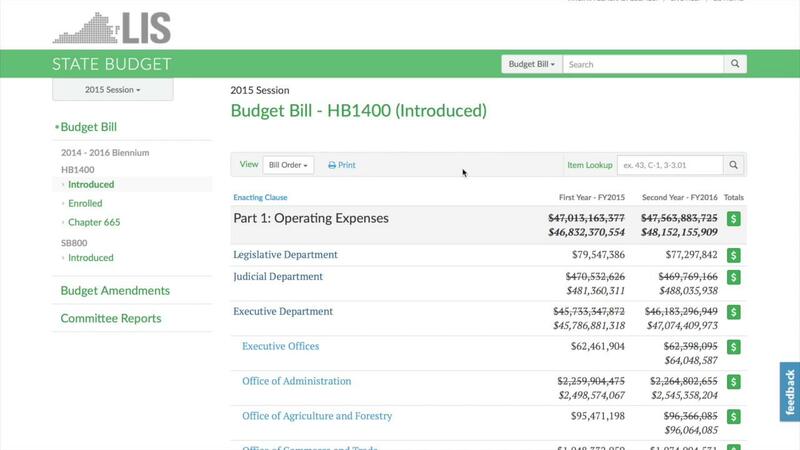 The portal offers an easy-to-use interface to view Budget Bills, Budget Amendments, and Committee Reports related to the budget, present and in the past. The site features easy navigation and readable presentation of content. Visitors can search by keyword to find the information they want, without having to know where the information resides. A collection of relevant Budget Reports, created by House Appropriations and Senate Finance Committees, which provide an explanation of actions taken on the budget. Searching - Ability to do a specific Item/Amendment look up or more generalized keyword searches. Printing - Print out or create PDFs. View current and past budgets (back to 1996).